Marvel Disney Comics Avengers Rug. FAST DISPATCH. Size 80m x 80cm. DC Comics BATMAN Rug. Oval Shaped. 100% Polyamide. Size 98m x 57cm. 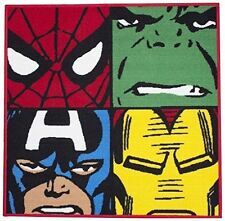 Superhero fans will love this Marvel Comics 'Defenders' design square rug. Features Spiderman, The Incredible Hulk, Thor and Iron Man. These include Northern Ireland, Isle of Man, Isle of Wight, Channel Islands and the Scottish Highlands and Islands. Official Peppa Pig "Oink" Character Bedroom Non-Slip Rug. Unit price: 1 piece. Min order: 1 piece. Case qty: 12 pieces. NEW FOOTBALL CLUB RUG. MATERIAL: 100% POLYAMIDE. SIZE: 50 X 80CM APPROX. 100% official and with a great printed design, it's sure to be a hit with every little Batman fan. 100% Official Batman product. Kids Bedroom. Adult Bedroom. Wonderfully colourful oval floor rug. Great Range on Kids Bedding, Duvet Sets, Toddler Beds, Curtains, Toys, Wallpaper, Borders and many more Childrens bedroom accessories. Love superheroes?. Love Marvel?. Love. SPIDERMAN?! Perfect in a bedroom or a playroom. Non-slip material on reverse side. These include Northern Ireland, Isle of Man, Isle of Wight, Channel Islands and the Scottish Highlands and Islands. My Little Pony The Movie 'Adventure' Shaped Rug. 80 x 80 cm. 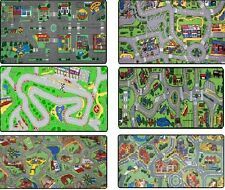 This rug would make a lovely addition to any Disney Cars fans bedroom or playroom. The rug also benefits from a non-slip backing and is suitable for machine washing. Features Twilight Sparkle. Colourful shaped floor rug. Kids Bedroom. Adult Bedroom. Great Range on Kids Bedding, Duvet Sets, Toddler Beds, Curtains, Toys, Wallpaper, Borders and many more Childrens bedroom accessories. Colourful in design, practical in use, the brilliant kids tractor rug will make a fantastic addition to their bedroom. Made from 100% cotton, the rug is hand tufted to ensure durability and support when walking on. TheMy Little Pony rug is an official product. Is a perfect gift for any My Little Pony fan. My Little Pony Movie Adventure Shaped Rug. My Little Pony Movie Adventure Shaped Rug is a stylish new design which has a great. Disney Winnie The Pooh Super Sleuths Rug. The traditional hand woven Star rug will provide a stylish feature in your room with its light and decorative design. Ideal for use in a bedroom or living space, the white star design is accentuated on the pink for a striking look. Unit weight: tbc. Size: Approx. BATMAN Batcave Logo Rug. Condition is used. TheMy Little Pony rug is an official product. Is a perfect gift for any My Little Pony fan. My Little Pony Movie Adventure Shaped Rug is a stylish new design which has a great. the top of the rug is a soft stitched fabric and is perfect for use in the bedroom. 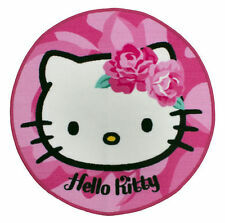 The 100% official Hello Kitty rug is made from 100% Nylon making it suitable for machine washing. Foam-grip backing - Won't slip and slide on flooring. 100% Polyamide. CURTAINS, POLES & BLINDS. Shoe Racks & Organisers. Storage Boxes. Peg Shelfs. Nursing Chairs. Moses Basket Stand. Moses Baskets & Cribs. Hanging Rails. In general, all Arte Espina rugs can be washed at 30°C at a rug cleaning facility. Arte Espina Rug Handtufted 100% Espirelle Acrylic. Arte Espina rugs are easy to clean. New rugs are prone to producing fluff. My Little Pony Movie Adventure Shaped Rug has a background with a matching black outline around the edge of the rug. Non-slip rubber bottom. Soft stitched fabric. My Little Pony rug is an official product. The rug also benefits from a non-slip backing and is suitable for machine washing. Features Spiderman. Colourful shaped floor rug. Coordinating bedding and bedroom accessories available. Main colour: Blue / Red. Disney Cinderella fans will love this 'Enchanting' design round rug. Perfect in a bedroom or a playroom. Matching bedroom accessories also available. Non-slip material on reverse side. How long will it take for my UK order to arrive?. Official Disney Princess "Enchanting" Character Bedroom Non-Slip Rug. Unit weight: tbc. Size: Approx. 80cm x 80cm. 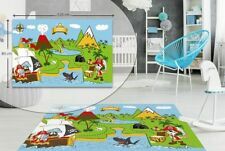 Kids Bedroom 50cm x 80cm Rug. Size: 50cm x 80cm.